"Courage does not always roar. Sometimes courage is the quiet voice at the end of the day saying I will try again." "Our wounds are often the opening into the best and most beautiful parts of us." "The whole life is a search of beauty. But, when the beauty is found inside, the search ends and a beautiful journey begins." Many people reach a point in their lives where old habits of managing thoughts feelings no longer work. We are mistakenly led to believe that a frenzy of activity will quiet our unrest; however what lies beneath is a range of psychological challenges such as depression, overwhelming stress and anxiety, panic attacks, perfectionism and addictions. Suppressing emotions simply makes life more difficult and hinders our relationships. My practice is located both in Burgess Hill and Steyning and I provide psychotherapy, counselling and EMDR to individual adults and couples. If you would like to set up an appointment or have any questions, please call or send a brief email. All inquires will be responded to within 48 hours. I have a lot of experience and my career as a Counsellor / Psychotherapist spans over many years. My manner is warm and professional and I will build therapy around the particular need of each person who comes to see me. I will draw on all my training and expertise of several therapeutic models to ensure I offer a truly individual service. I have been trained in several evidence-based and NICE (National Institute for Health and Care Excellence) recommended therapies. - Internal Family Systems Therapy ( IFS ) which is suitable for everyone. It is a very gentle new cutting edge way of working and many people who have not achieved the desired results through ordinary counselling, find this an interesting, exiting and very worthwhile alternative. - Eye Movement Desensitisation and Reprocessing (EMDR) for the treatment of trauma and other problems where adverse life experience are the root cause. - Interpersonal Therapy (IPT) to help treat relationship problems, adjustment and loss. 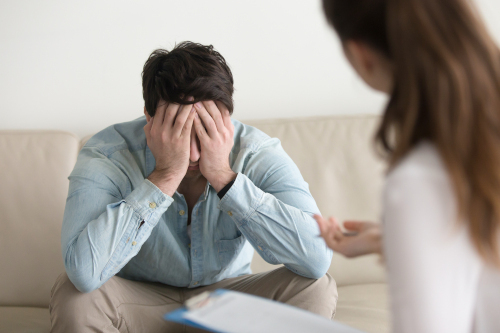 - I offer Cognitive Behavioural Therapy for anxiety and depression. I mainly use EMDR and IFS as I believe strongly it can help people overcome their difficulties once and for all. I continue to develop professionally and I attend regular national or international conferences, further training and seminars. I am registered with the UK Council for Psychotherapy (UKCP) and fully trained and accredited with Eye Movement Desensitisation Reprocessing (EMDR) Europe Association. I recently qualified as an IFS ( Internal Family Systems Therapist). I am also a fully accredited Interpersonal Therapist (IPT) and a trainer and facilitator of CBT group therapy for anxiety and depression. I trained as a counsellor in 1997 and completed a Masters' degree in Time Sensitive Psychotherapy in 2002. 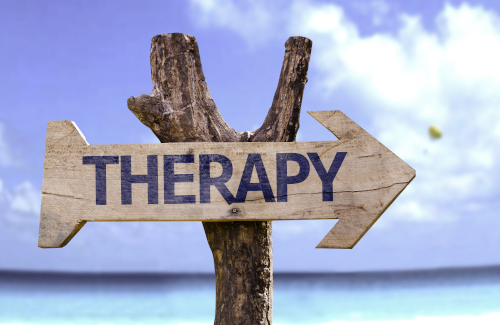 When deciding on a therapist, it is important to feel a connection with the one you choose. My approach is caring, warm and collaborative. I work with individuals who experience anxiety or depression from relationships, family or work settings, or major life transitions. 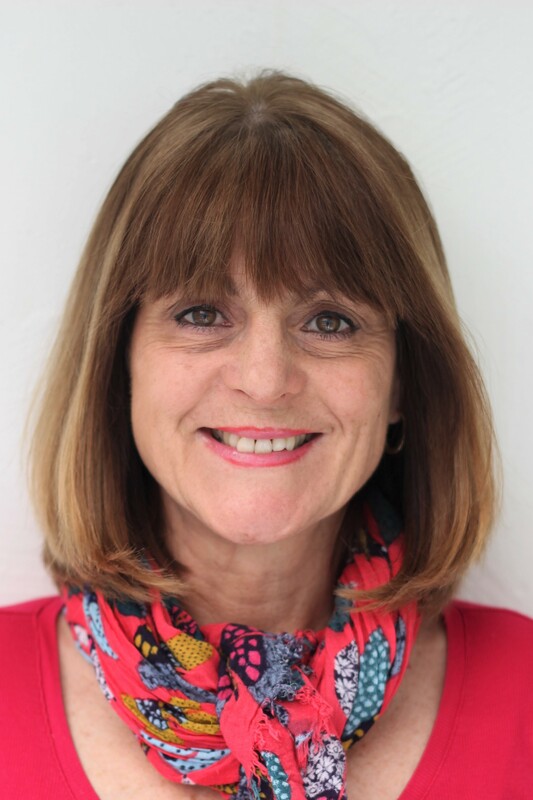 I specialise in trauma and will see people who suffered childhood abuse of any kind, or individuals who have been in any life threatening situation. I can help with issues such as parenting issues such as ADD, ADHS and spectrum disorders that can sometimes cause isolation, sadness and even anger. I create a safe and supportive environment in which you can talk about your situation without fear. I will help you address those parts of yourself that get in the way. Through the healing process, you can learn to manage stress, cultivate mindfulness and move from being stuck or overwhelmed to living a more fulfilling life. Over the years I have become an integrative therapist, but more recently I have developed a great interest in the Internal Family systems model of psychotherapy and I find this approach is especially effective in helping people to understand themselves and the choices they make. For those of you who have suffered trauma I tend to use Eye Movement Disensitisation Reprocessing (EMDR) a cutting edge therapy often with stunning results in a very short time. With many years of experience and training in a variety of approaches, I can work together with you to explore and work through old patterns or unexpected crisis. I have found that by treating yourself with compassion rather than judgement, positive change can happen. I retired from the NHS in December 2017 after 14 years of service where for most of the time I was providing leadership, and supervision to a team of counsellors. I am an innovative practitioner, keen to keep myself informed and train in the latest emerging cutting edge therapies. The field of Psychology is going through an exiting time and new treatments very much evidenced and supported by Neuroscience are emerging such as EMDR and IFS and others which are promising lasting and often quick results. EMDR and IFS are highly effective psychotherapies and they are endorsed by the World Health organisation. EMDR was developed by Francine Shapiro 25 years ago, an American psychologist treating Vietnam veterans who suffered from Post Traumatic Stress Disorder (PTSD). Research has shown its effectiveness with more common conditions, such as anxiety, chronic pain, phobias, panic disorder, low mood, depression, loss and low self esteem. EMDR proves to be helpful for people who suffer from Anxiety, Depression, Loss of any kind, Infertility, Sexuality issues, Life changes/ transitions, ACE (Adverse Childhood Experiences), Trauma, Health Anxiety, OCD, Eating disorders, Addictions, Chronic pain. For any further information please feel free to contact me. IFS is a very new way of looking at humans, it suggests that we are multidimensional, suggesting we are complex and operating from a internal system in which different aspects of our personality get activated.For further information about this exiting new modality, please visit YouTube or read the article below. By talking about the thoughts and feelings and learning to understand yourself better, and importantly by forming a compassionate relationship with yourself you will begin to heal and build confidence, develop loving and satisfying connections with others and create a life of greater contentment and success. It is a therapy that was created by Richard Schwarz in 2000 who responded to his clients’ descriptions of experiencing various – parts – some extreme - within themselves. He introduced the idea that each one of us inside has an internal family that is made of lots of different characters and ages which he refers to as ‘parts’. If you the reader can just pause a moment you may notice as you are reading this, there is the part of you who is showing some interested in this whilst another part might already be somewhat sceptical. There might even be a part of you thinking about checking emails or attend to chores or wanting to have fun. Those able to identify at least 2 parts may agree, a lot goes on in our brain. IFS suggests we are not just one functioning whole, rather we are made of many different parts functioning together, each part with their own understandings, experiences, desires, wants and needs. IFS also suggest no matter how flawed someone perceives themselves to be, somewhere within is a healthy functioning ‘SELF’ that has the capacity to be caring, calm, compassionate, curious, connected and creative who knows exactly what is right for us; this is our Spiritual Centre our Leader. Often people say: ‘ there is a part of me who wants to get out of this relationship, wants to stop drinking, stop taking drugs, stop binging, not starve themselves , change my job, say no instead of trying to please, do instead of procrastinating and so on. It is likely that some people are able to identify with these internal conflicts where one part wants to stop certain behaviour for all the right reasons but there is another part that thinks about this very differently and wins all the time. Most people seek therapy when they feel utterly exhausted by the constant chatter going on in their heads. There are parts that are open and friendly, but others may hold unresolved fear or shame from our childhood; some are performers, others solitary thinkers, whilst others are carers for people, some help us to stay in control and some will stop at nothing to prevent us from feeling difficult emotions. IFS encourages individuals to be kind and compassionate towards all those different parts as their main function deep, deep down is to protect and keep us safe. Often these parts are oblivious to the fact we have grown up and no longer need protecting. Many of my clients are already aware of parts that act rather childish. Your IFS therapist will encourage you to understand, befriend and accept these parts. Only when you fully accept and respect these parts that have been working so hard to protect you all this time will you find what you are looking for ‘inner peace’. One thing can be said with certainty, working with ‘parts’ looms largely in the field of Neuropsychology and it is because of this I am working toward becoming a fully qualified Internal Family Systems Therapist. IF you are interested and curious about IFS please contact me.